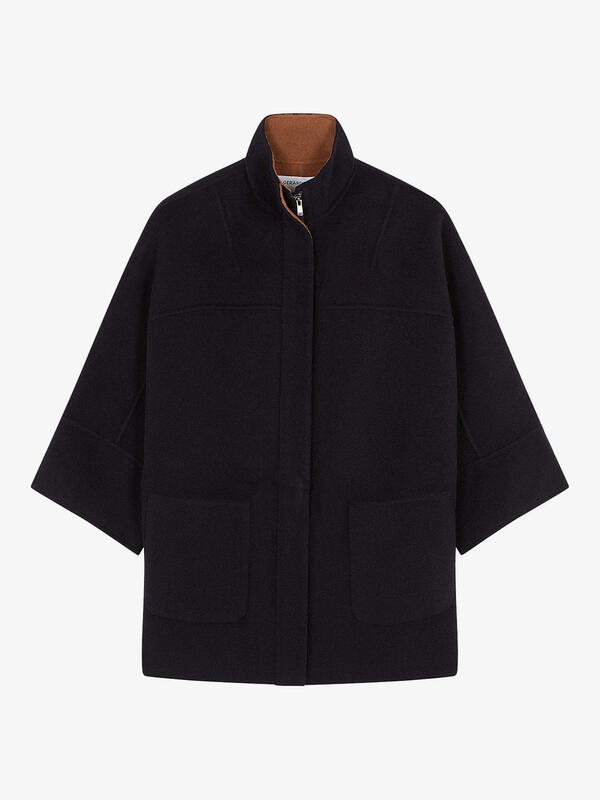 One of my favourite French brands , they take a classic essential like your winter coat and add a continental twist to the finish like oversized patch pockets , or concealed asymmetrical fastening on a simple three quarter length coat to give it added edge. 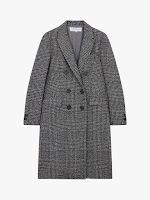 John Lewis stocks this fabulous brand and their coat edit this season is perfect as it covers everything from work to weekend. An enduring piece to add to your cold-weather staples, this sheepskin coat from Gerard Darel expertly locks in warmth while rounding off any outfit, day or night. Fully lined and with a full hood and a side zip closure, front seam pockets add an extra practical feature, matched by the slit at the bottom for ease as you walk. 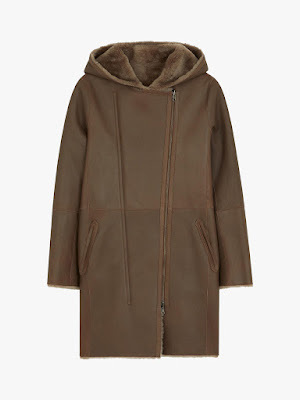 Invest in a timeless outerwear piece with this Gerard Darel Milo Sheepskin Coat. This cosy coat will be your new favourite winter warmer. Crafted from pure sheepskin for plush insulation, it's a powerful wardrobe addition that carves a sophisticated silhouette. 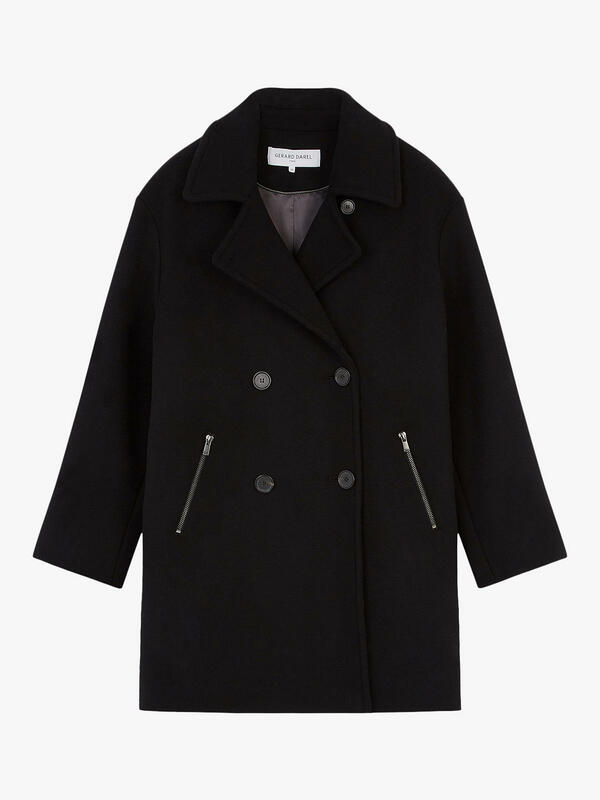 Invest in a timeless outerwear piece with this Gerard Darel Mia Coat. 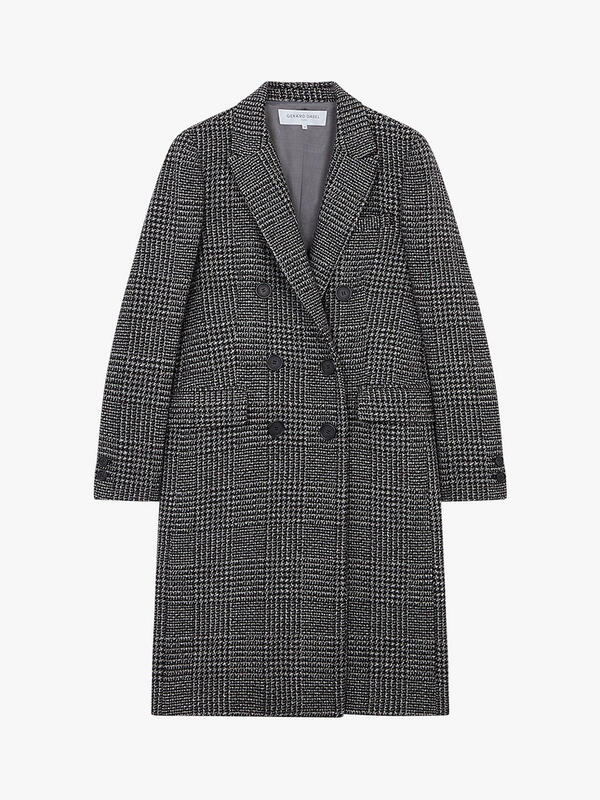 This cosy coat will be your new favourite winter warmer. Crafted from pure wool for comfort and warmth, it's a powerful wardrobe addition that carves a sophisticated silhouette. 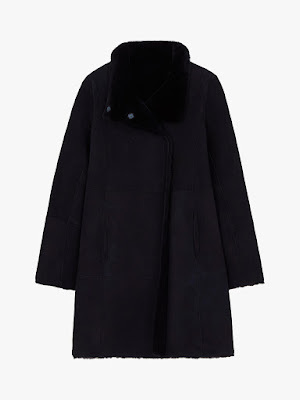 Wrap up against the cooler climates with this charming Gerard Darel Marci Coat. The timeless pea coat style adds some vintage glamour to your wardrobe. Crafted from pure wool, it is soft to the touch, making it the optimum blend of comfort and elegance. 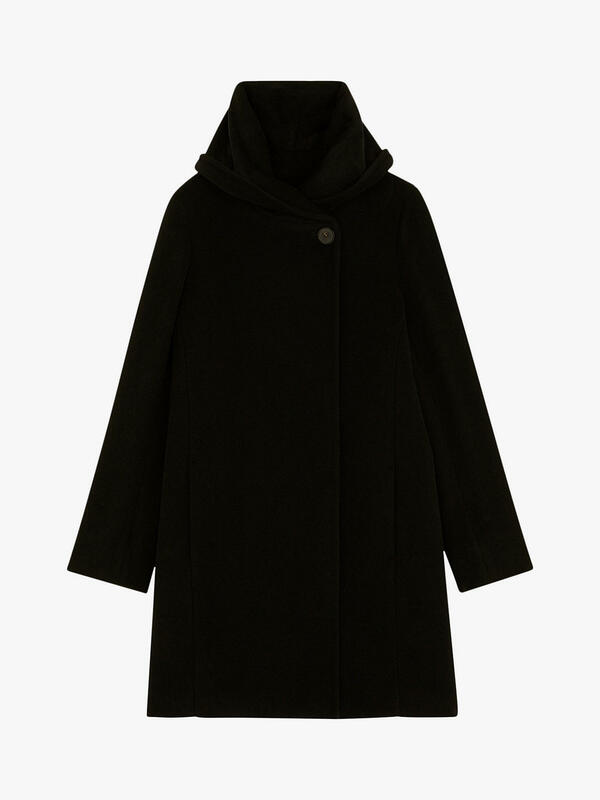 For a versatile all rounder, opt for the Marjory coat by Gerard Darel. Fashioned to be slightly looser for a more comfortable wear, it frames the silhouette for a flattering finish and its pure wool make up ensures a durable and sumptuous wear. Sophisticated and refined, this glamorous coat will ensure you're always soigne. Say hello to your perfect transitional outerwear. The Maddie coat by Gerard Darel is the ideal, modish cover up for inclement weather. With a funnel neck for extra protection and cosy, oversized cut, its dense, wool composition is insulating and stylishly durable for long-lasting wear. Throw on over a lightweight blouse and checked trousers or wear with an open collar for effortless style. Layer up with a jumper and scarf when the chill sets in. 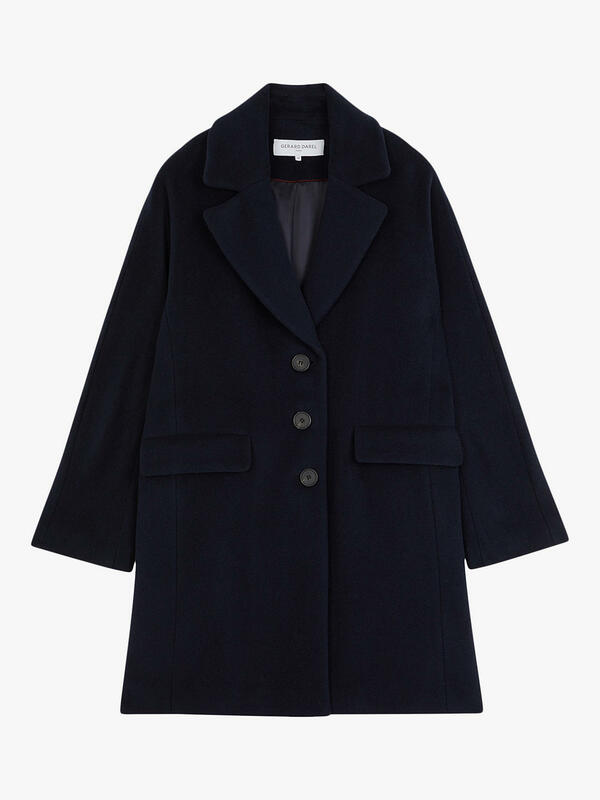 A tailored pea coat transcends trends so be timeless in the Mae by Gerard Darel. Crafted to an authentic shape for effortless styling, its high wool blend is premium to the the touch while providing unparalleled warmth and comfort. The quintessential check weave is highly sophisticated for a chic finish. Wrap up against the cooler climates with this charming Gerard Darel Coat. The timeless pea coat style adds a classic touch to your wardrobe. Crafted from a wool blend, it is soft to the touch, making it the optimum blend of comfort and elegance. Versatility makes this coat an option for all occasions, simply layer over your outfit for a neat finish.